Picton is our nearest town. Or fly into Blenheim or Picton airport. 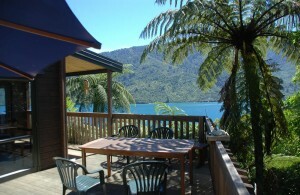 Picton is 25mins drive north from Blenheim. If you stay with us on the first night of your Queen Charlotte Track walk, you will be dropped off at Ship Cove and walk 12 kms to the lodge. If you ring to tell us your arrival time, we will try to meet you at the jetty. However this is not always possible. 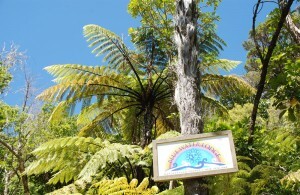 On leaving the jetty, turn right and walk 5 minutes up the Queen Charlotte Track, follow the signs up the stairs. Note the path is steep and may not be suitable for elderly people or those with mobility problems.